There are many teachers out there who absolutely love to integrate the seasons and holidays into their lesson plans. I must confess, I’m not exactly one of them. While I love the change of the seasons, and I love the holidays, I don’t usually do that many songs and activities that are dependent upon the time of the year. Part of this has to do with curriculum—depending on whether I had the students the year before (since I teach with another music teacher), I may be teaching ta and ti-ti to my first graders in December one year, and in another year it might be November or January. I don’t want to have to completely change my lessons around just because there is a holiday coming up. I know, I’m a Grinch! Another reason, though, is that I’ve had students in the past who, for religious reasons, can’t celebrate holidays. If I do a holiday song while that student is in class, he/she has to be dismissed to another location, or they have to have an independent assignment with headphones. So usually, I just don’t teach to the holidays. Until, that is, my singalong. The holiday singalong at my school happens in the thirty minutes before their winter parties, the last day before break. I have done a singalong every year since I’ve been in this district, and it’s very fun! There’s nothing quite like the whole school community (including kids, teachers, parents, and grandparents) singing together. 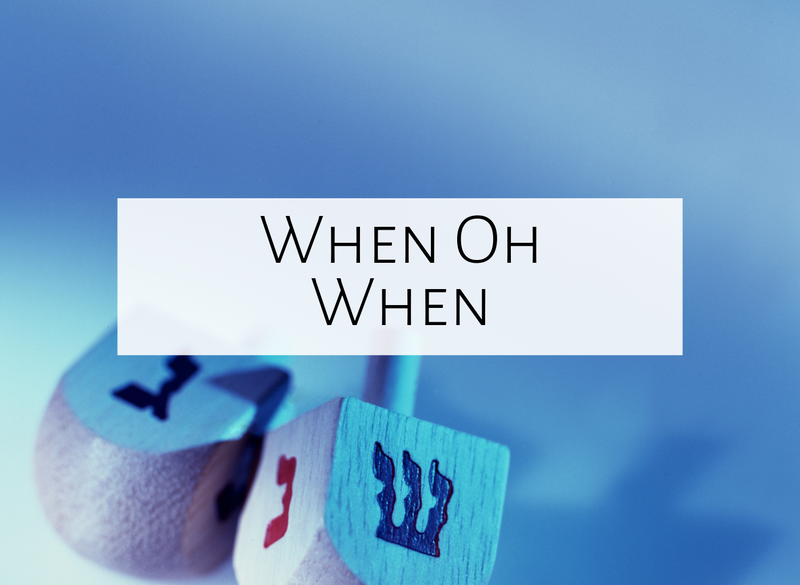 Second verse: When oh when...the one with dreidels spinning spin? Shouldn't it be...now that winter nips at my chin? Third verse: When oh when...the one with gifts for me and you? Shouldn't it be...now that slush creeps into my shoe? Fourth verse: When oh when...the one with latkes sizzling hot? Shouldn't it be...now that all my windows are shut? There are many things I love about this song: the melody is enchanting, the riddle is fun, and let’s face it—it’s so much better than “Dreidel, dreidel, dreidel, I made you out of clay"! On a side note, if your district or your local chapter is interested in learning more about Jewish music, I highly recommend Naomi! 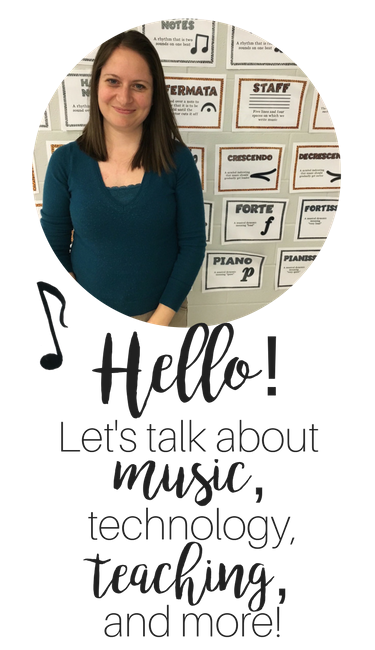 She has a rich knowledge of Jewish culture, songs, and dances, and is a joy! Her email address is nkcsings@yahoo.com. What do you do for the holidays? Have you ever tried a singalong? Or are you thinking about trying it now? Tom Root here. I am promoting the sing-a-long more this year. Made the veteran's day assembly more poignant and will make the holiday assembly more festive. Thanks so much for "When oh When." You're welcome, Tom! Someone else just told me they did a singalong for Veteran's Day...that's a good idea! Hi Corey! I'm so sorry...I just looked and couldn't find it either! I guess it was taken off the website? I updated the blog post to reflect that.